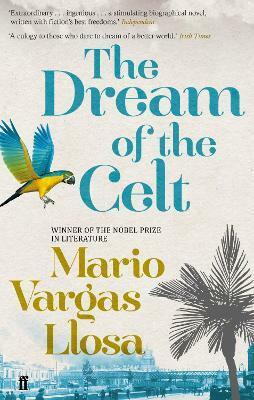 Mario Vargas Llosa, with his incomparable gift for powerful historical narrative, takes the reader on a journey back through a remarkable life dedicated to the exposure of barbaric treatment of indigenous peoples by European predators in the Congo and Amazonia. Casement was feted as one of the greatest humanitarians of the age. Now he is about to die ignominiously as a traitor. Mario Vargas Llosa has established an international reputation as one of the Latin America's most important authors. He was born in Peru in 1936 and educated at university in Lima, where he studied Humanities and Law. Always politically outspoken, from 1976 to 1979 Vargas Llosa served as President of PEN adn in 1983 presided over the commission which investigated the deaths of eight journalists killed during the Belaunde Government's campaign against the Maoist guerrilla movement. Having once declined the Prime Ministership of Peru in 1984, he was a candidate in the 1990 Presidential elections. In 2010 he was awarded the Nobel Prize for Literature.